Cincinnatus: The Secret Plot to Save America follows a washed-up caddy and a high profile Department of Justice attorney who are thrown together, as partners, by bizarre circumstances. The two are forced to decipher a high-tech scheme which fixes the outcomes of major golf tournaments to fund a secret organization's Draconian plot. The story begins in 458 B.C. when a Roman Consul, Cincinnatus, leaves his farm to assume lawful dictatorial control in order to save Rome from the barbarians. When the battle is won, he returns power to the Senate and goes home to plow his fields. More than 2,000 years later, a high ranking officer of the Continental Army forms a secret society with 23 of his brother officers to preserve the ideals of the American Revolution. The Society, headquartered in Washington D.C. today, remains a brotherhood of the direct descendants of the Continental Army. Meanwhile, in America's recent past, a 5 foot, 100 pound Latvian immigrant, jilted by his "Sweet Sixteen," builds America's Stonehenge in South Florida. 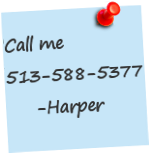 Hounded by Federal Agents for his patentable technologies, he elects to pass on his secrets rather than die with them. At the very same time, one of the richest men of the roaring twenties sends his brother on a mercy mission to south Florida. Unknown to him, his brother is about to come face to face with one of the greatest mysteries of the universe. 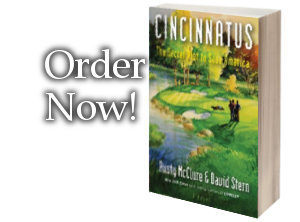 These stories collide in this present-day, action packed thriller, Cincinnatus. Two unlikely heroes are paired by fate to solve the mysteries surrounding this thread of history, and save America from an evil fate.